Isaac founded Tozny to commercialize Galois’ research in cybersecurity and privacy. He has led many successful cybersecurity and identity management projects for government agencies since he started at Galois in 2004. 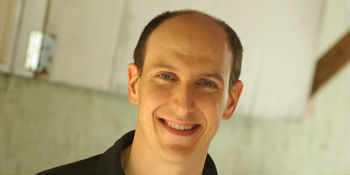 His projects have included secure cross-domain collaboration (Navy, Intelligence Community), practical solutions in identity credentials for first responders (DHS), federated identity for the Open Science Grid (DOE), anonymous authorization and cross-domain search (DOD), mobile password-free authentication (DARPA), authentication for anti-forgery in hardware devices (DARPA), and privacy-preserving authentication and data sharing (NIST). He has applied the NIST Risk Management Framework to commercial and government projects for security assessment and penetration testing. Isaac is an active open source developer in the areas of cryptography and programming languages.